TWO DAYS OF FUN AND FOOD! Why not get pampered while you create? This retreat is for anyone who wants to get away from it all; to create, either by quilting, knitting, writing, your choice, AND be pampered and educated on the value of the foods and beverages served for meals and snacks. Each person will have their own space; quilters have access to cutting tables and boards, iron, etc. Enjoy two days of fun, learn to stock your pantry with food choices that heal your body, experience educational demonstrations of prepping super foods, and GET motivated and educated to begin the path to an energized healthy life! Wednesday February 20, 4:00p.m. to Friday February 22, 4:00p.m. First monthly retreat. Take home best selling healing manual Eat Away Illness included with your first retreat. Call 306-244-8890 for more information. Overnight accommodation is limited so call now. Day retreats also available. Why not carpool with others for more fun! Homemade Almond Milk, Socca, Chocolate Brownie, Lemon Curd. HEAL THE HEART, WITH FUN AND FOOD! Enjoy a relaxing day in the country. A great gift for Valentine’s Day. Learn the ease of prepping foods that heal the heart, and the body. Which supplements can heal, reduce and/or eliminate symptoms of heart & cholesterol issues. What is the scoop on Keto and Mediterranean diets? Enjoy a heart healthy lunch and snacks. Opportunity to ask questions in a caring cozy atmosphere. Demonstration, samples & take home recipes included. The much loved Cashew Loaf! No flour; high in protein. 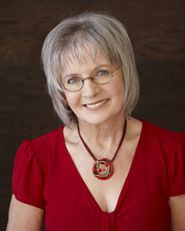 Paulette Millis, Registered Holistic Nutritionist. Coconut Lemon Protein Balls and Workshop Fun!! How about some easy to make super healthy little protein snacks? I have been experimenting with these and found two variations that I like. You will get to sample both if you are coming to the workshop. Friday November 30th from 10:00 – 3:00 we will be learning about how the chemicals in our body products and cleansers affect our brain and our body, and how to replace and make your own natural products. We will also be cooking up a lunch with super nutritious foods, so join us for a fun day in the country! Carpooling available. I experimented with different protein powders and when using the Vegan powder, I used a full 1/2 cup of coconut oil, but with the collagen powder, less was needed. The slightly darker balls are made with the vegan protein. I’ve taken someone else’s recipe and made it with a complete amino acid profile. Feel free to eat these little morsels without guilt. 1. Place protein powder, collagen powder, coconut flour in a bowl. 2. Zest the organic lemon over this mixture, and combine well. 3. Melt the coconut oil, and add the liquid honey and lemon juice. 4. Pour over the flour mixture and combine well. 5. Add the coconut shreds and combine. 6. Roll into small balls and place on a parchment lined cookie sheet in the fridge until well set, about 1/2 hour. Why not try dipping these in melted 100% cacao baking chocolate mixed with a little honey? CLEANSERS, COSMETICS, AND HOME REMEDIES! Enjoy a relaxing day in the country with a group of like minded people. Learn to reduce the toxic load placed on our bodies. In this 5 hour workshop, you will experience a relaxed atmosphere, a short presentation as well as people willing to share their ideas through discussion. Learn to make natural products for great Christmas gifts! •Boost your health with homemade non-toxic products for your home and your body. •Eliminate cancer-causing lotions and cleansers. •Balance hormones and your weight by learning to eliminate xenoestrogens. A great Sunday afternoon! Thank you to all who came out to help celebrate. We had neighbors, members of the past church congregation, workshop participants, friends, clients, members of the Saskatoon dance community…. We had music, food, and even dancing!! Special thanks to Lorraine for a lot of help! And Alandra, Louise, and Sonja! And to Darrel for his kind words. And a big thanks to Colleen for singing for us! I look forward to seeing all of you here again! Do you want to reduce symptoms of disease? Help with depression? Make more efficient use of the food you eat? If so, please join us for a workshop this Friday September 21. There is some space still available so gather up a couple of friends to carpool.